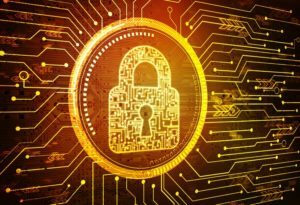 Ernst & Young is waiting for a spike in proposals to insure cybersecurity risks in Ukraine in 2019, according to a study by Ernst & Young Global Limited posted by the Ukrainian representative office of the company. “The high level of damage to business from cybercrime around the world encourages companies to look for ways to manage these risks from the outside. One of the available options is to insure cyber risks, so similar offers from insurance companies are the expected trend of 2019 in Ukraine,” Senior Manager of information technology and IT risk management department of EY in Ukraine Dmytro Lazuchenkov said. In a highly competitive environment, cloud solution providers are trying to reduce costs by reducing investment in technical tools and staff skills that are necessary to ensure the security of a cloud solution. This leads to the fact that cloud environments are becoming more susceptible to attacks by cybercriminals,” the company said in a press release. EY said that the state-run institutions of Ukraine also should not forget about countering cyber threats. According to EY Global Information Security Survey 2018-2019, vulnerabilities with the most increased risk exposure over the past 12 months were careless/unaware employees (34%), Outdated security controls (26%), unauthorized access (13%), and related to cloud-computing use (10%). Most organizations (82%) are not sure if they successfully identify cybersecurity incidents. Among organizations suffered from incidents over the past 12 months, less than one third (31%) say that the incident was revealed by the cybersecurity service of the company. EY said that 60% of organizations say that the person directly responsible for information security is not a board member. Only 18% of organizations say that information security fully influences business strategy plans on a regular basis. 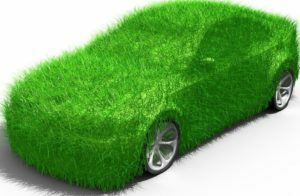 The number of Green Card international insurance contracts signed by the member companies of the Motor (Transport) Insurance Bureau of Ukraine (MTIBU) in January 2019 increased by 12.79% compared to January 2018, to 61,104. 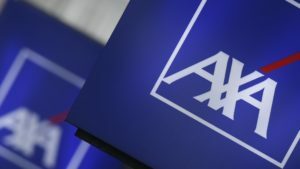 According to the website of the MTIBU, the amount of accrued insurance premiums for January 2019 rose by 14.55% compared to the same month last year, to UAH 147.164 million. At the same time, the amount of claim fee payments decreased by 55.15%, to EUR417,036. The number of paid claims was down by 48.37%, to 222. 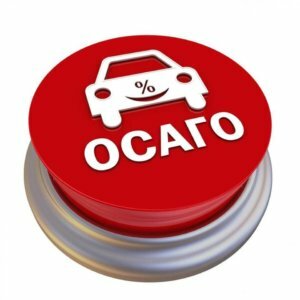 The insurance companies of Ukraine that are members of the Motor (Transport) Insurance Bureau of Ukraine (MTIBU) in January-August 2018 increased collection of premiums for compulsory vehicle owners’ civil liability (OSAGO) by 21% compared with the same period in 2017, to UAH 2.962 billion. According to the MTIBU’s website, the number of OSAGO contracts for the eight months increased by 4.6%, to 5.254 million. The total volume of insurance claim fee payments under internal insurance contracts, according to the MTIBU, rose by 14.2%, to UAH 1.404 billion. In particular, UAH 218.8 million was paid using EU accident report forms, which is 49% more than in January-August 2017. The bureau also recorded the reduction in the number of settled claims for insurance compensation by 0.05%, to 88,800, of which 24,900 (an increase of 27%) using EU accident report forms. The number of Green Card international insurance contracts signed by the members of the Motor (Transport) Insurance Bureau of Ukraine (MTIBU) in January-July 2018 increased by 6.16% compared to the same period in 2017, to 425,111. According to the MTIBU, the amount of accrued insurance premiums increased by 24.9%, to UAH 764.4 million. 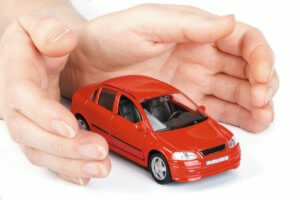 The amount of insurance claim fee payments for the seven months rose by 0.6%, almost to EUR6.895 million. 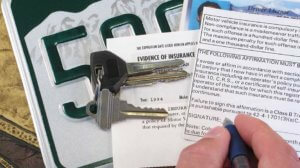 The number of paid claims grew by 1.65%, to 2,957. The MTIBU is the only association of insurers that carry out compulsory insurance of vehicle owners’ civil liability for harm caused to third parties. Its members are 56 insurance companies, including nine full members of the bureau that have the right to sign Green Card contracts. The National Anti-corruption Bureau of Ukraine (NABU) and National Joint-Stock Insurance Company (NJSIC) Oranta (Kyiv) on June 26 signed an agreement on compulsory insurance of vehicle owners’ civil liability for 96 vehicles. The bid was expected at UAH 110,000; Oranta’s actual bid was UAH 55,155, according to an announcement in the ProZorro electronic procurement system. BROKBUSINESS Insurance Company and U.S.I Insurance Company also took part in the bidding; their bids were UAH 60,165 and UAH 94,806, respectively. Oranta is the legal successor of Ukrgosstrakh, founded on November 25, 1921. In 1993, Ukrgosstrakh was reorganized into OJSC NJSIC Oranta.